I own a real state in Honduras where Geomaque found several minerals. Located in Santa Cruz de Yojoa, Honduras. Back in 2005 Geomaque found a 2 Km rock with many minerals, (gold, silver, iron and more) but Honduras called our mining laws unconstitutional so we couldn't close the deal. Now in 2014 they have opened the country for mining again. 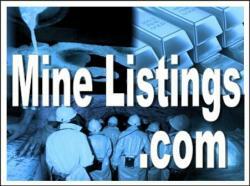 I own real state that has many minerals and we are looking to sell, leasing , or joint venture the land. I don' have the geology studies but back in 2005 they were offering about $20 Million. if you need more information please contact me.